The whole point behind this series is to offer Canadian pilots on a budget a superb line of training manuals that will be every bit as useful as our "Ground School Course" and "Written Test Book" premium line based on a generic style text with workbook rather than a course specific text. As well this line serves as a useful basis for advanced ground school so as to cover the 80 hour ground school requirement towards the CPL: our Sky's The Limit text goes in to substantially greater depth than the minimum for exam purposes. Written specifically for aeroplane pilots preparing for the Student Pilot Permit, Recreational Pilot Permit, Private Pilot Licence and Commercial Pilot Licence, this comprehensive manual serves as a useful reference source that focuses on the "need to know" material. 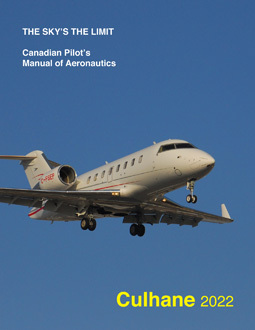 It includes chapters on the following subjects: Canadian air law, engines, airframes & systems, theory of flight & aerodynamics, flight instruments, aviation weather, navigation, flight operations and human factors. This text offers superb value and is straightfoward and easy to follow and we highly recommend it for PPL/CPL aeroplane pilots. 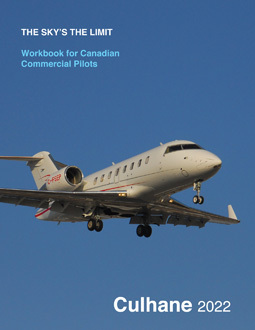 This companion text includes over 800 realistic questions and has been designed specifically to assist those aeroplane pilots that are preparing for Transport Canada PPL written examination (PPAER). All questions include detailed answers and complete instructions for complex problems and navigation chains. Also includes a 100-question PPAER sample exam. Offers an excellent method to self study for PPL written for a bargain price. 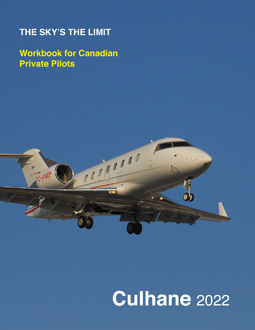 This companion text includes over 800 realistic questions with detailed answers and has been designed specifically to assist those aeroplane pilots that are preparing for Transport Canada CPL written examination (CPAER). All questions include detailed and complete instructions for complex problems and navigation chains, including use of LO charts. Also includes a realistic 100-question CPAER sample exam. This task-focused self study workbook offers an excellent method to self study for CPL written at an affordable price. To place an order, choose the product(s) you would like, then select "Buy Now!" ON SALE! Special pricing for past/expired versions of these titles.